Sangeeta Bahl was always an iconoclast, so bucking the trend came with the territory. That is why, when she set a record as the oldest Indian woman to scale Mount Everest in May this year, her victory was especially sweet. Being chided for learning to swim at the age of 16 in conservative Jammu was one thing; choosing to work instead of marrying and ‘settling down’ was even more shocking; but climbing the tallest mountain in the world was not the stuff ‘good girls’ are made of! So scale it she did. As the Gurugram-based 53-yearold settles into this interview, she throws her head back and smiles. She says she has always been driven to challenge herself although mountaineering was not on the cards till as recently as 2012. “I have constantly worked against stereotypes and followed my heart,” says Bahl, whose first goal was to become a model. After she conquered that, she went on to become a Miss India finalist in 1985 before working as an airline stewardess and living in the Middle East for many years. But she had her eye on the future and while flying for Emirates, she acquired an Executive MBA degree. However, her entrepreneurial foray had to wait a few years, for marriage was on the cards. Sangeeta married her childhood sweetheart Ankur Bahl, a captain in the merchant navy, in 2000. After marriage, the couple took a leap of faith and returned to India in 2005 to settle down in Gurugram, where they started a family. A free spirit with a restless energy, Bahl put her MBA to use and it wasn’t long before the former airline stewardess opened Impact Image Consultants and checked off one more box on her to-do list: she was now an entrepreneur. While for most people, this would have been a dizzying career graph, Bahl wanted more. So, in 2012, she upped the ante and began to take the ‘climb every mountain’ metaphor literally. Six years later, the adventure-seeker has scaled 11 peaks, including Everest, and has just one more to go to complete the list of the Seven Summits—the highest mountains of each of the seven continents. Bahl’s first summit was Africa’s highest mountain Mount Kilimanjaro, which she climbed along with her husband. It was then that her husband brought up the idea of scaling the Seven Summits. In 2013, the couple climbed Mount Elbrus in Russia—the highest mountain in Europe—and Mount Vinson in Antarctica. But all that climbing came at a price. “During our fourth summit to Mount McKinley in Alaska in 2014, I tore a ligament in my right knee and had to be rescued by national park skiers, who towed me on a sled. I could not complete the climb and returned to India with a brace on my leg. I later underwent keyhole surgery for reconstruction of ligament.” Bahl was in excruciating pain and advised rest for nine months. But the thought of missing a whole year of climbing was even more painful for her! With many more mountain peaks in her sights and ample support from physiotherapists, Bahl began preparing for her fourth summit, to Mount Aconcagua in Argentina—the highest mountain outside Asia—barely five-and-a-half months after surgery. “I challenged myself to just kill it with a brace on my leg,” she says. And, just as planned, in January 2015, Bahl summited the peak, standing tall at a height of 22,847 ft. The following month, she hit another milestone—her 50th birthday—which she celebrated with aplomb. In 2016, she successfully scaled Mount Kosciuszko, Australia’s highest peak and the fifth of the Seven Summits, before she attempted the world’s biggest: Mount Everest. Bahl’s husband had just returned after summiting Everest, which motivated her to choose this as her next challenge. 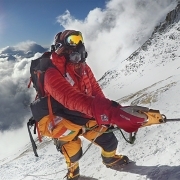 “I trained rigorously and, to prepare myself, I climbed two 6,000-m peaks in Nepal and Ladakh,” reveals the gutsy climber. Finally, she felt ready to take on the world’s tallest in 2017 but had to return 51 days into the trek owing to ill health. 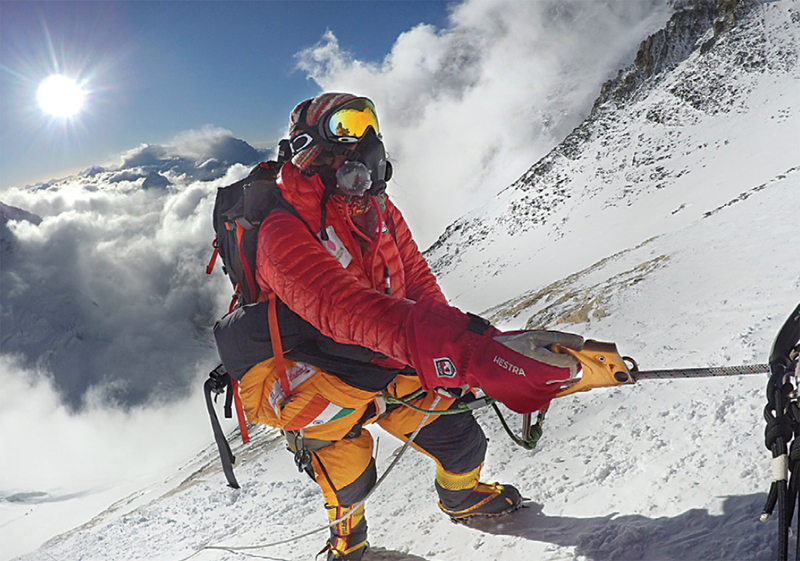 Mount Everest, the sixth of the Seven Summits, beckoned again in 2018. “I have never looked at age as a barrier and was determined to stand on top of the world,” she says. But Everest was a different cup of tea and Bahl had to train like she had never trained before, not only for its altitude but owing to the technical skills required to reach the top. Finally, D-Day—28 March 2018—arrived and Bahl set off, high on confidence and in great spirits. The expedition lasted two months; not for one single moment did she think she would not succeed. On her second attempt at Everest, Bahl wanted to climb for a cause and used the opportunity to raise awareness about early detection of breast cancer in women, in collaboration with Tata Memorial Hospital and the Women’s Cancer Initiative. There’s more. Bahl plans to mentor 40-plus people for beginner, advanced and intermediate treks for expeditions on the seven continents. Currently, she is working on a fitness book. We hope her relentless drive and boundless optimism remain an inspiration for years to come!